Overall, I like the trailer a lot. 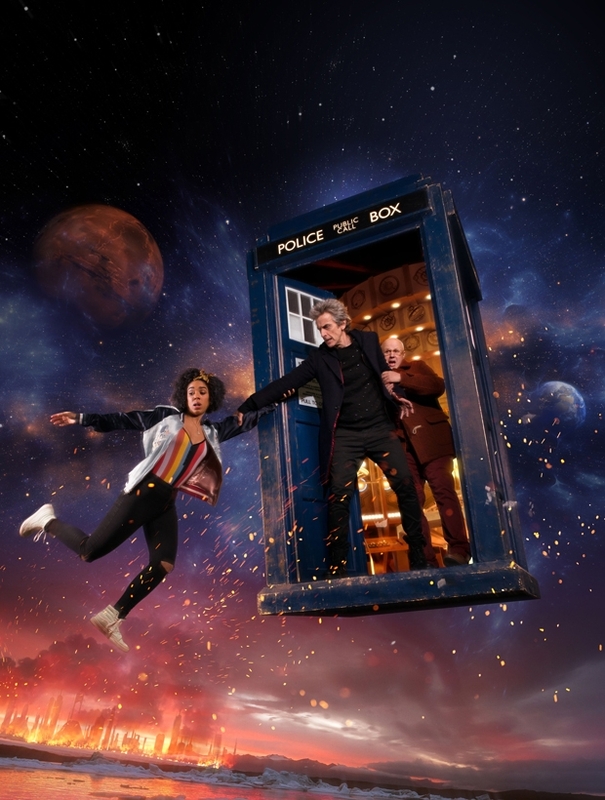 It makes Peter Capaldi‘s third and final season as the 12th Doctor look really fun and exciting, which I desperately hope it is. He deserves a truly great send-off for his fine work. So, about this trailer, specifically — The Good: Based on the Dalek, apparently we’ll get a glimpse of the stalemated war between the Daleks and the Movellans; noted actor David Suchet has a role, as a character called “The Landlord” (he’s the man seen holding a tuning fork); Missy (Michelle Gomez)! ; a Mondasian Cyberman with his fabric mask; a new kind of Ice Warrior; and the Fourth Doctor’s sonic screwdriver? DOCTOR WHO returns to BBC America on April 15, at 9 p.m. This entry was posted in Cult TV, Trailers, Video clip and tagged 12th Doctor, David Suchet, Doctor Who, Matt Lucas, Pearl Mackie, Peter Capaldi. Bookmark the permalink.